Creating Daily Blog Marketing Content is one of the best Marketing Strategies you can do. Once you have your blog up and running creating daily content is straightforward. There are a lot of short term marketing strategies out there that work perfectly well. 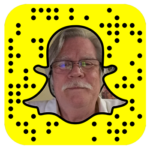 Social Media Marketing has become one of the hot marketing Methods and 10K Social Media Recruiting one of the best courses out there. But when it comes to the Strategy that’s going to win most of the time Blogging is your baby. So, what make Blog Marketing so powerful? Here are just a couple reasons that might entice you to start blogging if you currently aren’t. One of the things I learned early on with Social Media Marketing is that it doesn’t hang around for long. Once one of your posts get’s on someone’s feed, it’s only around for a short time, and people just don’t go back looking. The great news about blogging is your content stays around forever. I’ve had people optin from posts that I wrote a year ago; that doesn’t happen on Facebook. People are always searching on Google to find value and training. You won’t find a Facebook post come up in the search results, but you will find thousands of blog post. Another lesson I learned early on was that I don’t own the content I post on Social Media Platforms. They can choose to shut me down at a moments notice and without a good reason. So many of my Mentors have had their Social Media Accounts closed down in the past. With My Blog, on the other hand, I own it and control the content and what stays and what goes. Your Blog will become a Library of Value and Training for your Market. Having a place people can go to find reusable resources for themselves and others in invaluable. Even with creating Facebook groups and Pages the content is just there without any rhyme or reason. With your Blog, you can organize and clearly layout where to find the best content for your niche. The moral of this story is that any and all marketing is great. 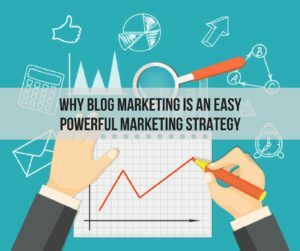 But, if you want to have your marketing efforts around for a long time and not have them pulled down for unknown reasons then Blogging should be your main marketing strategy! Here are some other posts that may help you in your marketing journey.